I know, I know - who even uses a phone book anymore?! Well, you could. And it may actually help you in your job search. You heard me! Stay with me here, and allow me to explain. With technology always advancing, online job search tools are becoming more popular than options that may seem a little dated (knocking on the front door of an employer's office, anyone?). However, this is not always a good thing. With the explosion of online job search tools also comes the possibility of laziness in the job-seeker. Think about it. It is quite easy to sit in front of a computer screen and apply to millions of job postings that come up in your Google search, without picking up the phone or talking to anyone face-to-face. We've made job-hunting literally faceless and impersonal - something that is bound to take its toll on those looking for work. I promise that there is still value in making a more personal connection to a potential employer; a professional is bound to remember someone who put themselves out there rather than an applicant who just added their resume to the pile on their desk. Use it for what it is - a community directory. Target your job search and find specific companies and organizations you would be interested in applying to. Write down their contact info, or even create a chart to get your list super-organized. Use this information to conduct further research, look for openings, and prepare any application documents you might need. Bring back the cold call! Here's an idea - use all those phone numbers you've just collected and make some calls! Prepare beforehand of course, and make sure you are comfortable in letting potential employers know who you are, what you are looking for, and what you have to offer. They may not have any openings at the time, but when they do, you can bet they just might remember that you made an impression on the phone a short while ago. Make an appointment. It's also a good idea to see if it is possible to schedule a meeting with a recruiter or hiring manager to discuss opportunities available within the company. Meeting with them will give you a good idea of what kind of employee they're seeking. You could also set up an information interview to speak with a professional who is in the position you're dreaming of. They might have some great advice for you! 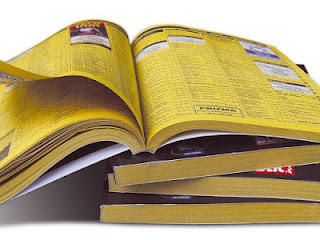 So there you have it, ways to use a phone book for your own job search. It pays to take advantage of any and all tools that can assist you in finding work - including this oldie. Working for the Weeke... Summer?! Don't Let Yourself Get Trapped! 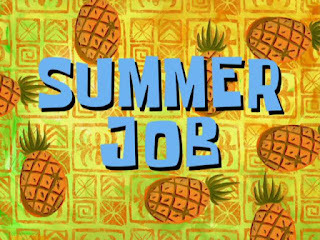 Vend-a-Career: If only it was that easy!